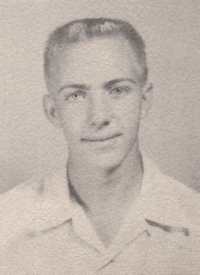 Obituary – Swart, Jerry Dean « Perry High School Alumni Association, Inc.
﻿Band 50-54; D.E. Club 52-53; Basketball 50-51; Wrestling 50-53; Student Council 51-52. Jerry Swart, Tonkawa resident, died Saturday, Feb. 1, 1997, at St. Joseph Regional Medical Center, Ponca City. He was 60. The funeral will be held at 10 a.m. Tuesday at the First Christian Church in Perry with the Rev. Lynn Scott officiating. Arrangements are under the direction of Brown Funeral Home, Perry. Jerry Swart was born June 2, 1936, in Perry, the son of Ted and Mary Ruth (Gross) Swart. He grew up in Perry and graduated from Perry High School, then attended Oklahoma State University. 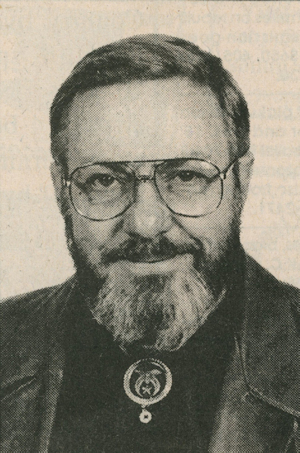 Swart served in the U.S. Air Force, spending two of his four years of service in the Philippines. Swart served 14 years as a air traffic controller and 17 years as a broker in the real estate business. He was married to Phyllis (Carroll) Vines on Nov 22, 1995. He was a member of Perry First Christian Church, a 32nd degree Mason and a member of the White Shrine, India Temple, Perry Elks Club and the IOOF Lodge of Tonkawa. Survivors include his wife, Phyllis, of the home; two sons David Lane of Perry and Mike Vines of Tonkawa; two daughters Vicky Garcia of Houston, Texas, and Sandra Swart of Houston, Texas; his mother, Mary Ruth Swart of Perry; and one brother, Robert Swart of Kingfisher, Oklahoma; and four grandchildren; he was preceded in death by his father and one sister.